Hey guys! Happy Friday! Earlier today, I shared a list of great tools and gadgets to spend your Christmas gift cards on. It’s got tons of tools and gadgets that are great to help you grow your DIY tool collection! If you’ve got a pretty good amount of tools already and are looking for ways to spend your gift cards on lumber and supplies, I’ve put together a list of great projects that will help you put those gift cards to use and also get you started on your build list for 2017! 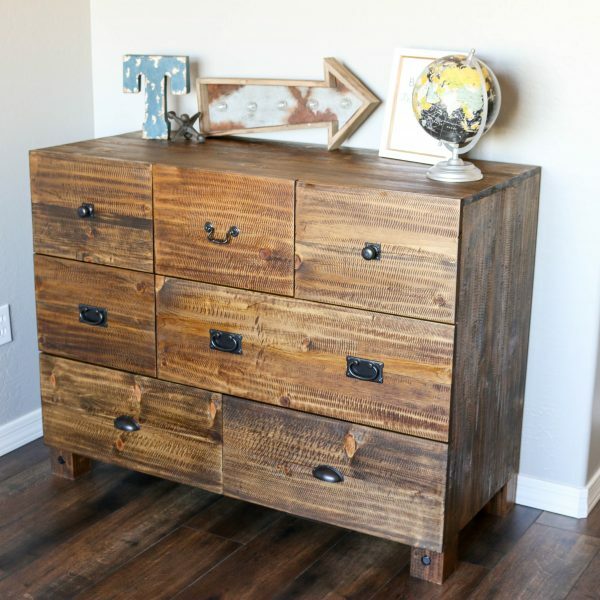 Some of these are so quick and easy that you can even just use wood from your scrap pile. Some of them take the tools I mentioned in my post earlier this morning, so you can get new tools and build a new project! This is my latest build and one that can be made for about $35! I built it using the panel clamps and trim router circle jig I listed in my earlier post. 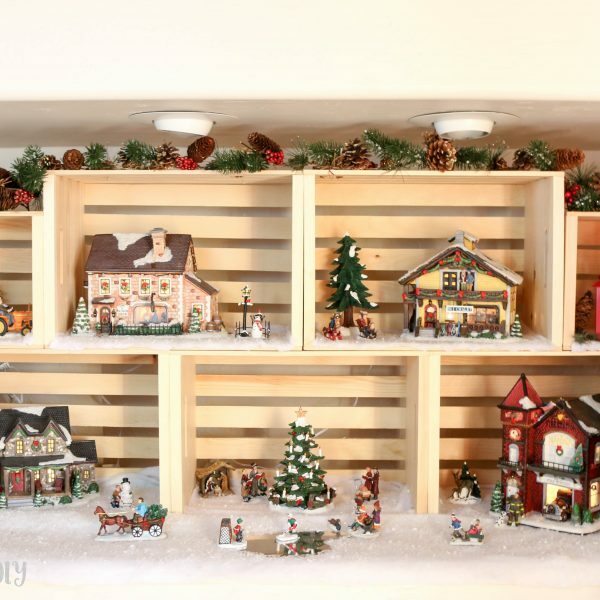 This post includes free printable plans and a step by step tutorial for you to follow. 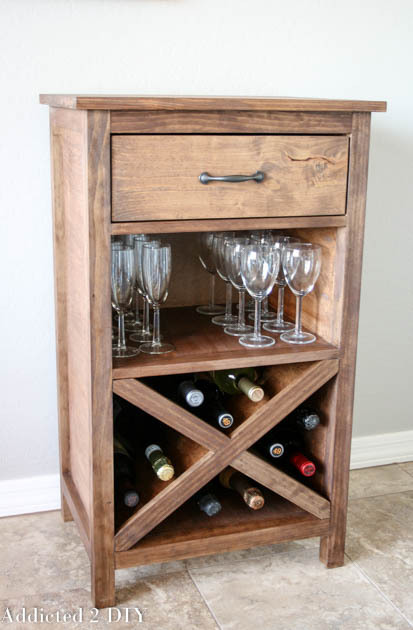 This wine cabinet is another great weekend project and is a beautiful addition to any home! Not a wine drinker? You can use it as a bathroom caddy for towels and toiletries, a craft room cabinet and hold rolls of vinyl and other tools, or whatever you like! Warmer weather will be upon us soon, although some sooner than others. 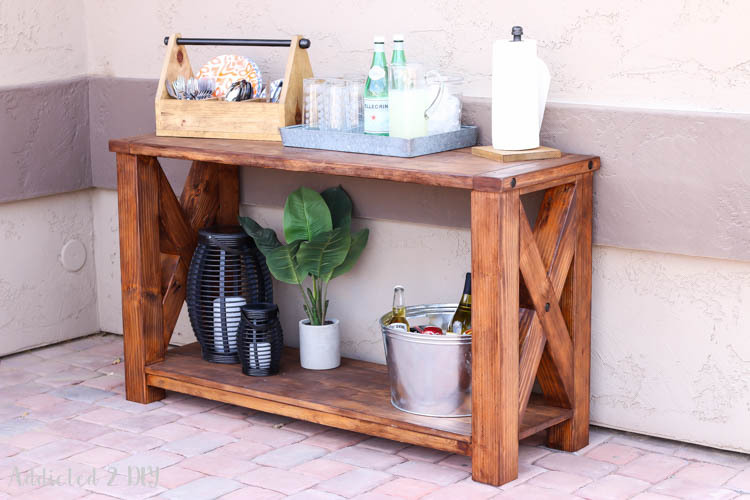 If you’re looking for a way to spruce up your outdoor space this spring, I highly recommend this console table! I love the way it looks on our back patio. Especially with the outdoor chalkboard I made to go with it! 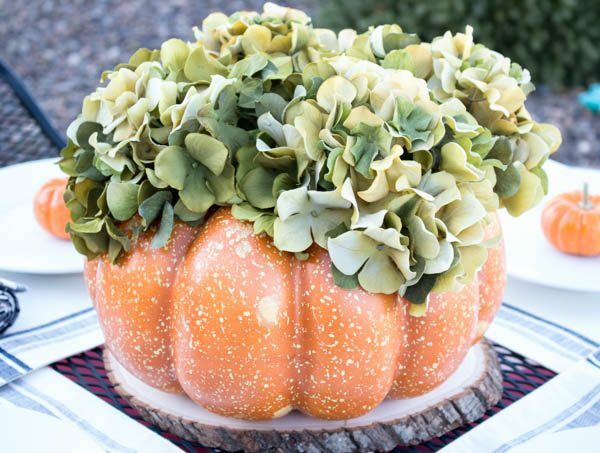 This is one of those fun projects where the kids can even get in on the action and help you! 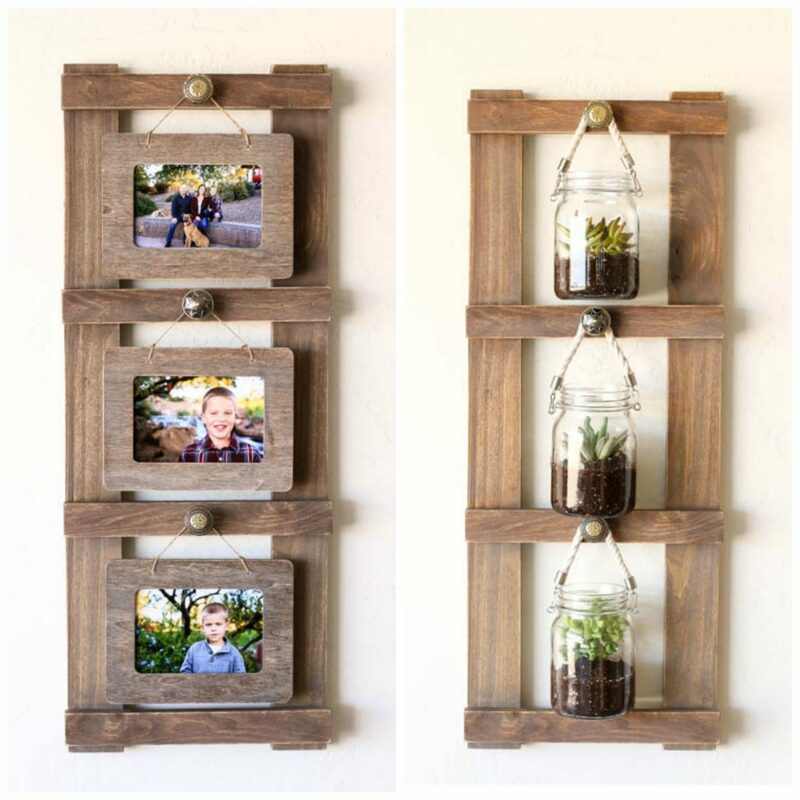 Use this ladder display to hang family photos, plants, craft supplies, or whatever you like! This is one of those projects where everyone is a winner! 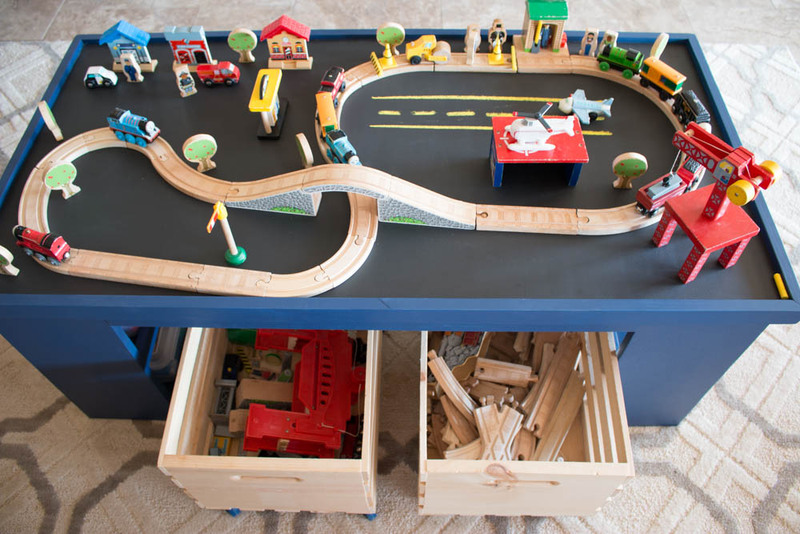 You get to have fun building something, your kids will be entertained for hours, and it keeps everything (hopefully) put away and organized! This is quite possibly one of my most favorite projects for the simple fact that it solved a HUGE problem. Okay, maybe not a huge problem, but it did help us to have a practical and pretty way to keep Dakota’s food hidden in plain sight! Now I just need to modify the plans to fit two dog bowls! 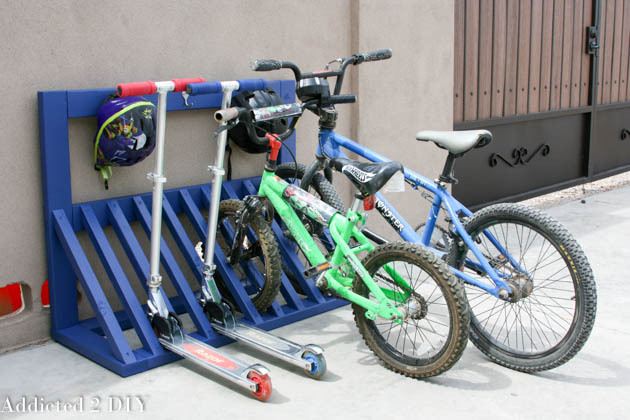 This is another great weekend project that gives your kids (or even you!) a leg up in the house. 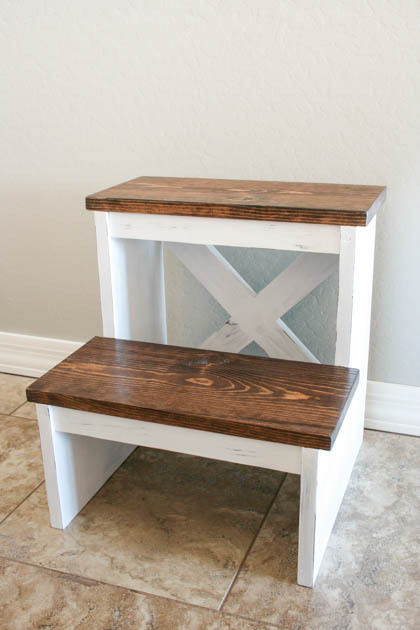 The best part is that it’s made with just a single 1×8 board, so it’s an inexpensive project, too! This is another one of those projects that gets used CONSTANTLY at my house. It keeps the bikes and scooters put away and the hooks help my kids to keep their helmets put away, instead of always losing them. 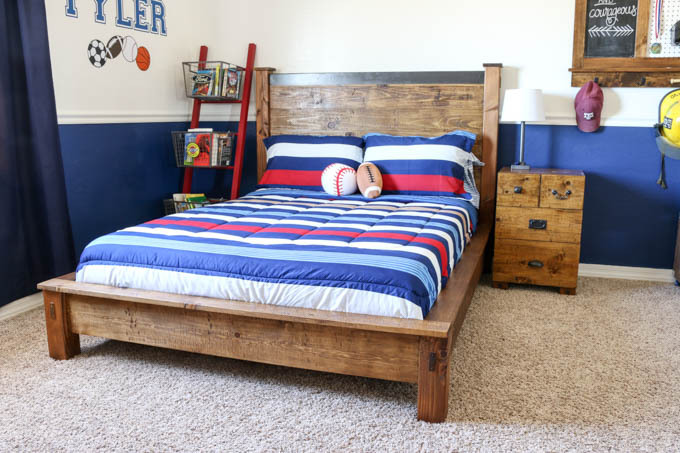 If you’ve been promising your kids a new bedroom set, this bed is a great choice! I built it for my 10 year old son and he loves it! 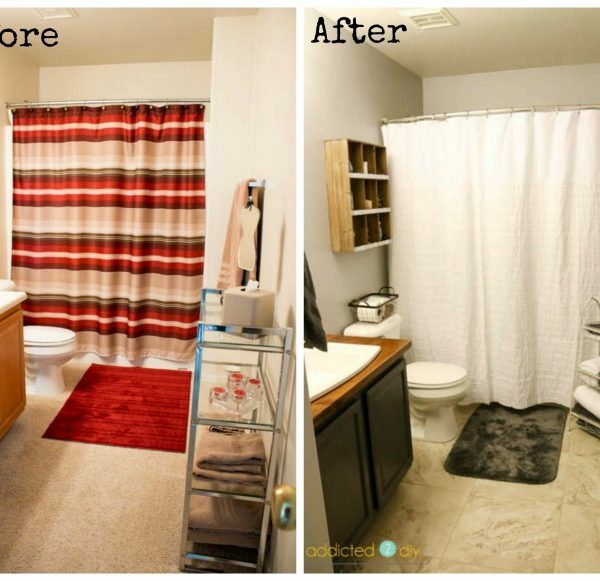 If you hit the gift card jackpot this Christmas and are looking for a way to maximize useable space in your spare room in your home, this is it! This was definitely the project I was most proud of in 2016 and probably ever! I work in this room every single day and I love that it can quickly and easily convert to a guest room at a moment’s notice. 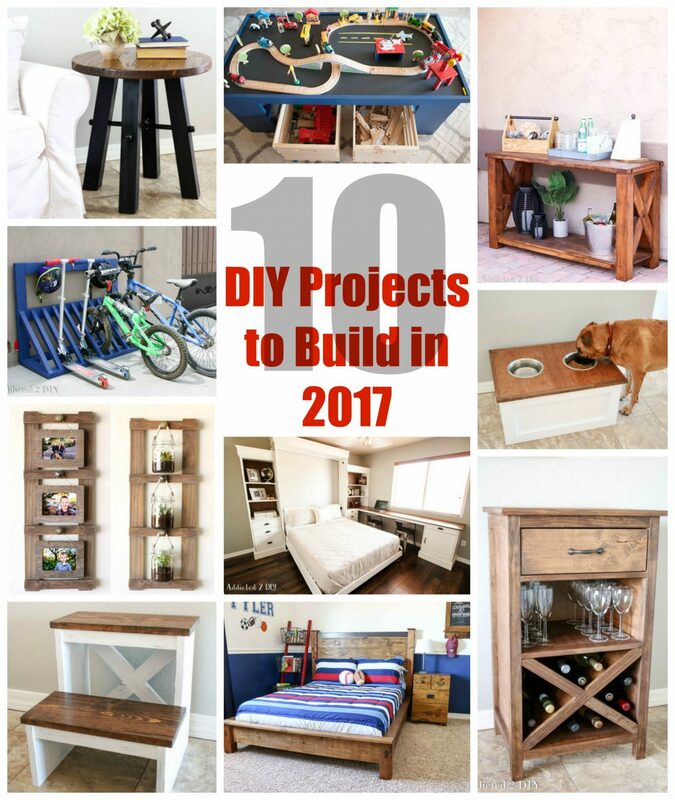 Hopefully you’ve found some inspiration and ways to hit 2017 running with projects! I definitely have some ideas for the gift cards I received this Christmas and I can’t wait to get out into the shop and start building and sharing those projects with you! If you have something you’d like to see me build or draw up plans for, definitely let me know! Maybe we can even collaborate and I’ll include your project photo in the post! Have a happy and safe New Year’s Eve and I’ll see you all in 2017! I dig the DIY Wine cabinet! A nice addition to that is to create a placemat or something similar with wine corks! 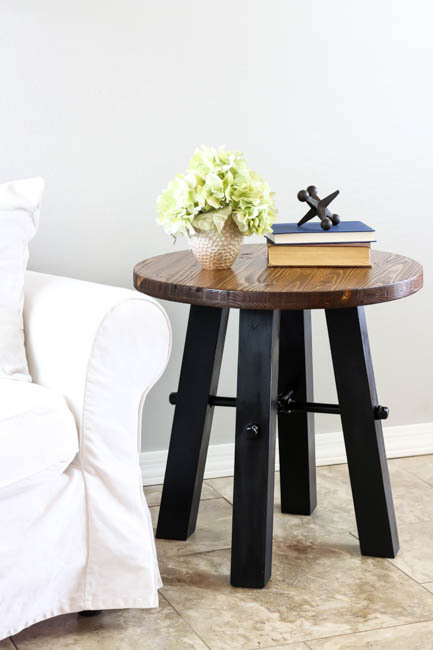 I find that compliments some home decor quite nicely, is cheap, and pretty simple to create. Hey there! Thank you so much for the ideas! I was thinking of doing something here to kickstart the year and you just inspired me! 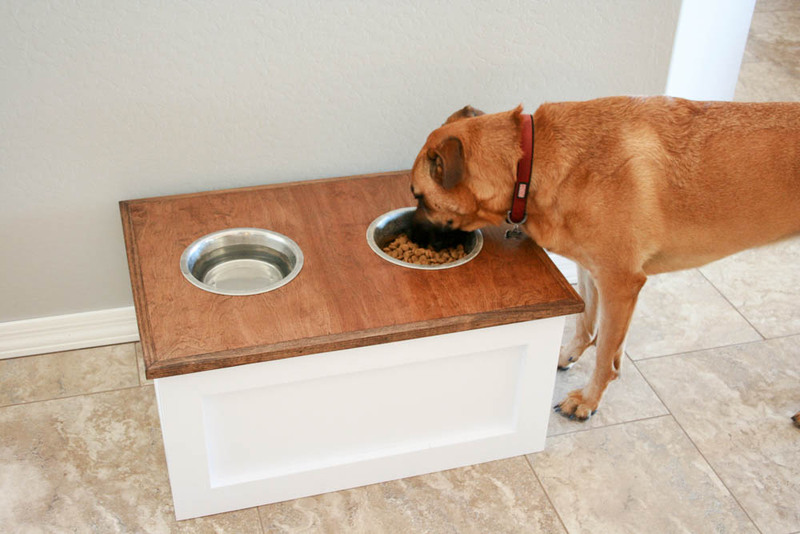 That dog food station is amazing and that murphy bed is all I want for my small bedroom. Love it! I would love to get your plans for the Murphy bed! What a great design!! Hi Jeremy, be sure to click the photo and you’ll be taken straight to the plans! I broke the project up into three parts to make it easy to follow. 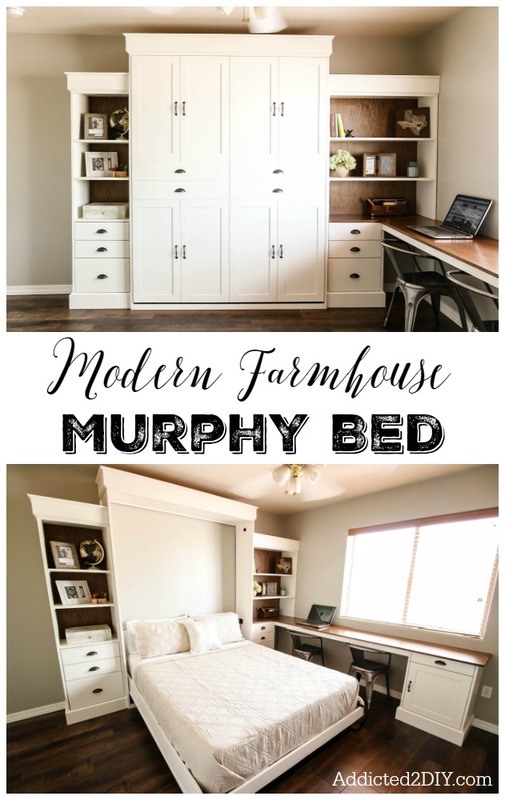 Hi, can I get the plans for the Farmhouse Murphy bed? It’s the most gorgeous thing I’ve ever seen! You should be so proud of yourself!